Traditional sunblind canvas awnings (also known as Autos or ASBs) are the original design for heat protection on windows. 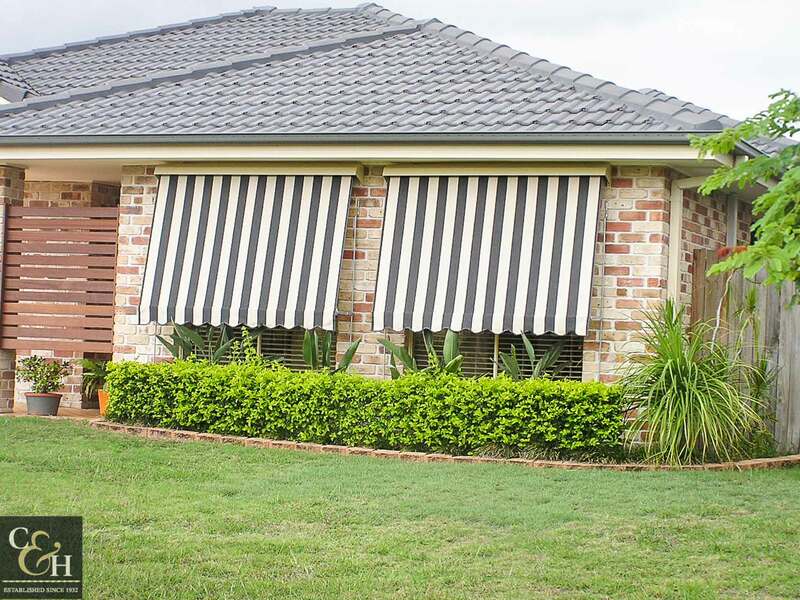 The quintessential ‘awning’ look and function of these canvas blinds is still the go-to style and most cost-effective way to shade your windows. Fabric ranges and colour pallets have developed over the years, and original canvas awnings can now be enhanced by blockout acrylic and modern see-through mesh fabrics. The operation of a canvas awning is easy and intuitive. Just hook and pull down with your lightweight pull stick to any stopping point, and the arms will hold the canvas awnings in place. 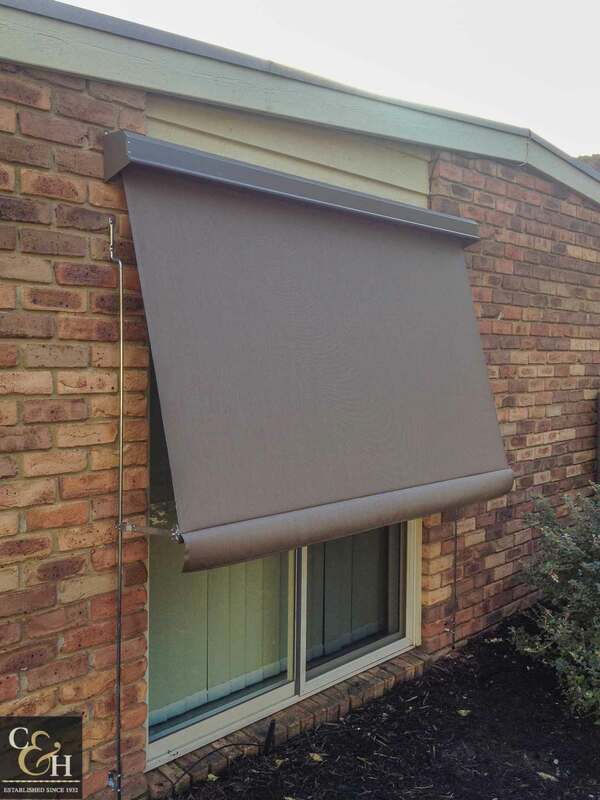 The angle created by the projecting arms allows for cooling airflow and the ability to open your windows with the canvas blinds down, which is a similar motion to our folding arm awnings. 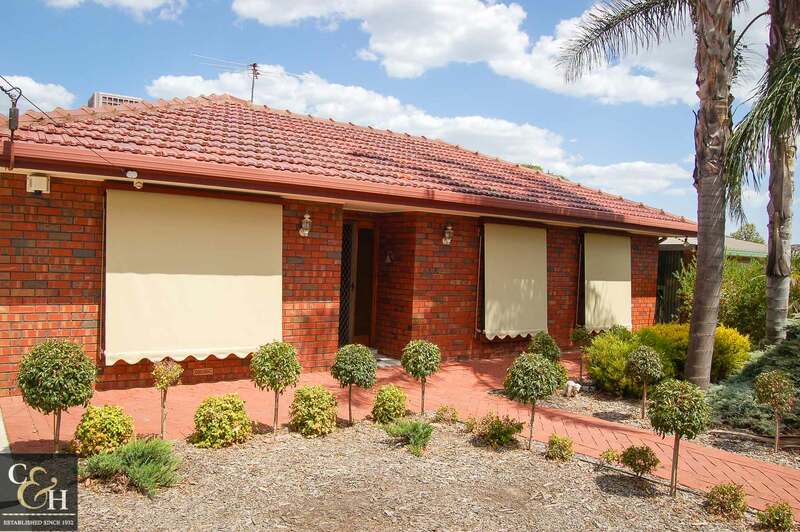 Why use canvas awnings in Melbourne? Canvas blinds fabric will darken the room and give you a very high level of heat protection, similar to an indoor blockout roller blind. 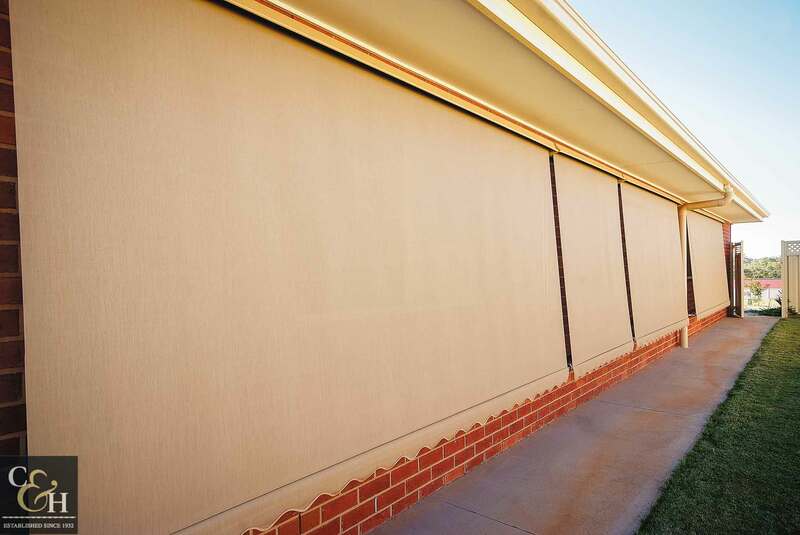 Blockout acrylic fabrics will block your view and reduce heat and UV transfer, whilst adding a designer look. 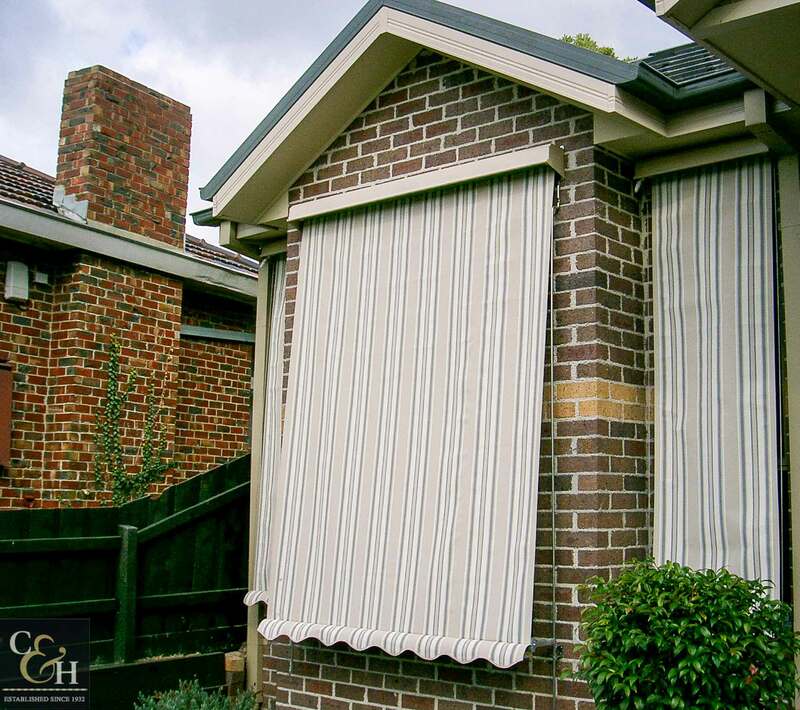 The newer mesh fabrics are a great way to shade your window whilst maintain your view, and with different densities available, the mesh awnings are becoming a popular way to keep the heat out. 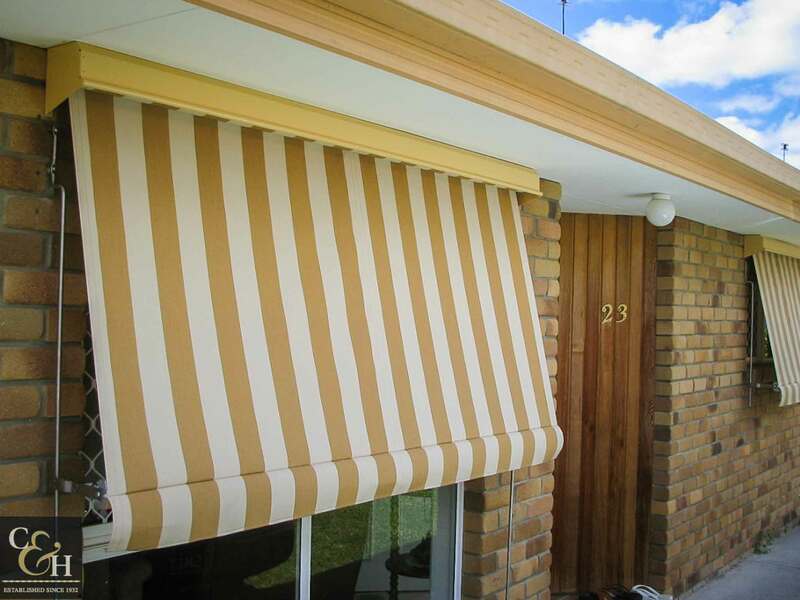 With options for hood colours, straight or wavy finish with coordinated binding, the canvas awning can be made to complement your traditional or modern home. 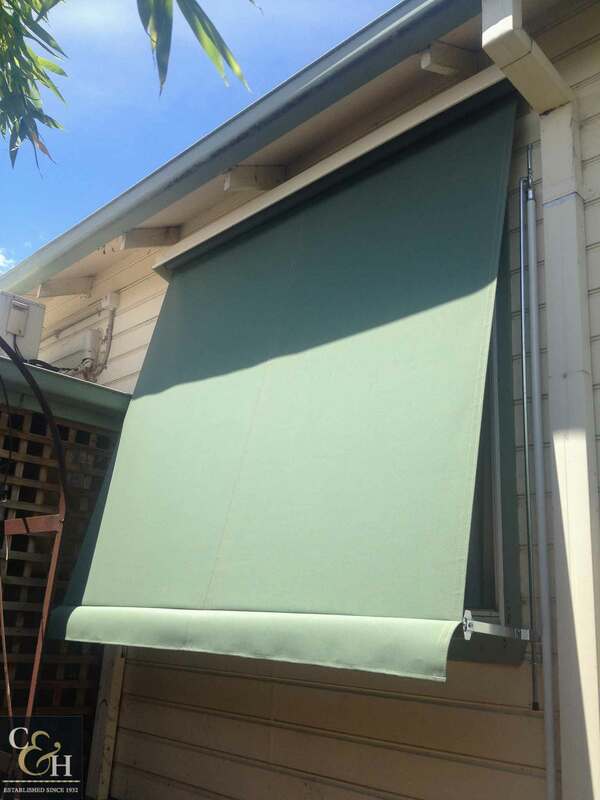 The sunblind canvas awnings systems are reliable and robust, and they can be re-clothed after years of use when the fabric has started to degrade. 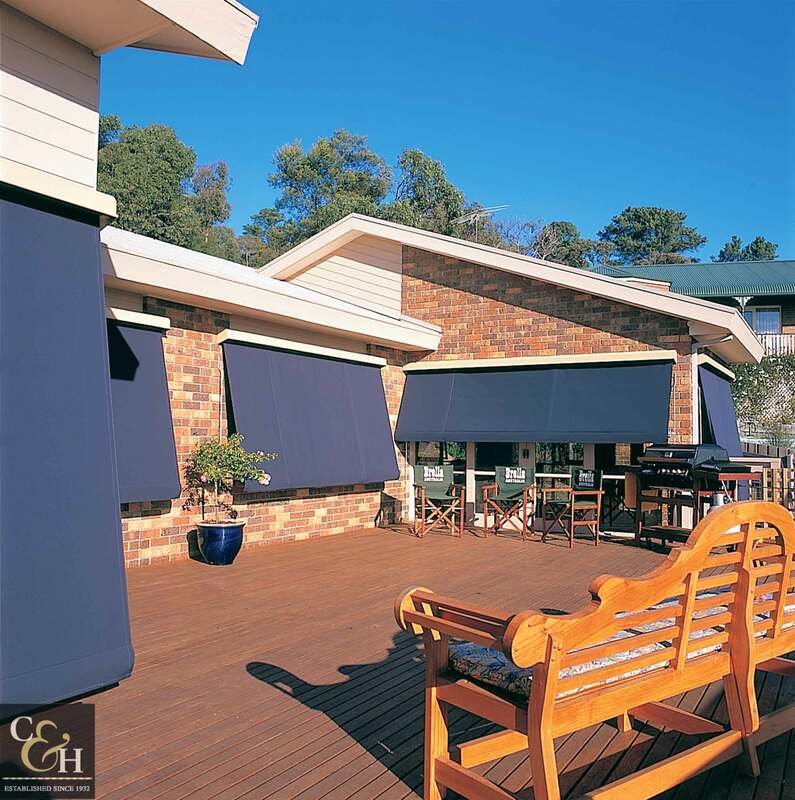 Campbell & Heeps offer an awning re-cloth service on sunblinds and some other types of canvas awnings. For an obligation free quote, call us today.